How is it even possible that we are at the end of 2015? I don't know about you, but this year has flown by. I am busy making plans for what to do on New Year's Eve with my family. We will be starting a new tradition for the first time this year by celebrating early at Discovery Cube Los Angeles. It can be hard for younger children to stay up late on New Year's so Discovery Cube will be hosting a party to ring in 2016 at a family-friendly time! You are invited to the kid-friendly Noon Year's Eve Party at Discovery Cube! They have turned this end of the year bash typically for adults into the ultimate celebration just perfect for families and children. No staying up til Midnight required! Make sure to check out the Science of Gingerbread, and Curious George Exhibits while you're there and take a ride on the Helicopter Tour! 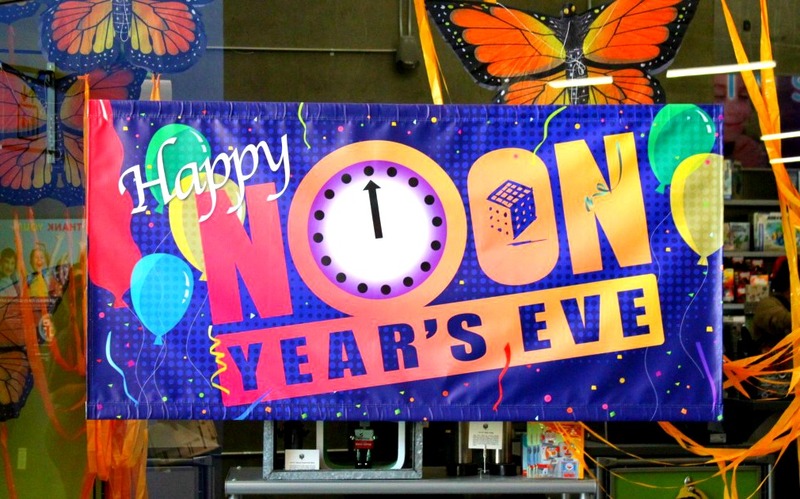 Celebrate the new year early at Discovery Cube Los Angeles with Noon Year's Eve Party! Set your clocks to 12pm NOT 12am and bring the kid's to either Discovery Cube (LA or OC) for a celebration they won't forget! To ring in the new year with your family, and make memories that you will never forget! Let's end this 2015 with a giveaway! It has been such a pleasure being a Discovery Cube Mom Ambassador this year! I hope you have enjoyed learning about fun and exciting things to do at the Cube as much as I have loved sharing! 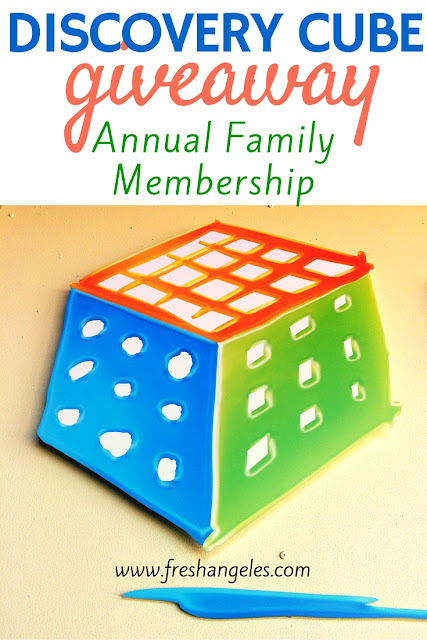 Enter this giveaway for your change to win an annual family membership ($99 value) to Discovery Cube! It'd be a great way to start off 2016 with free admission for a year to the Cube. GOOD LUCK!